CAPE CORAL,Fla. 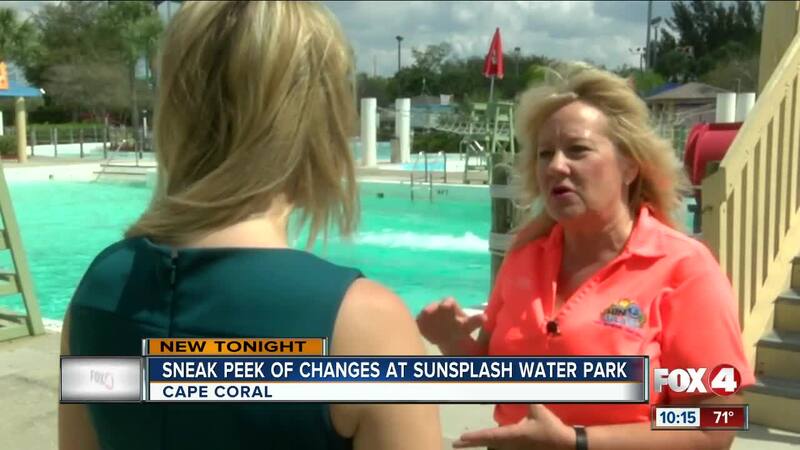 – It’s opening weekend at Sun Splash Water Park in Cape Coral in a couple of days. During the off season, the park spruced up the place but for the first time, they will be selling alcohol inside the park. This year, adults will be able to have a little more fun. The park will be selling beer, wine and wine slushies. “That has been a number one request from parents," said the park manager, Sandra Greiner. “The parents don’t see anything wrong with having a beer or a glass of wine while watching their kids"
With adult drinks on tap, Greiner said there will be an even higher focus on keeping the park safe and family friendly. “We will only be serving it in one location at the Tiki Hut in clear plastic cups so anything in a clear plastic cups we will know it’s alcohol,” Greiner said. The park plans to maintain an environment that’s safe for your kids. Greiner said more surveillance cameras will be going up to monitor everyone. VIsitors 21 and older will be allowed two drinks max. They have rules in place to avoid any drunk behavior inside the park. “I’ve actually hired someone special to just walk around and try to recognize those situations,” Greiner said. Monday, workers also went through specialized training to spot any out of hand drinking. It’s same training Disney employees go through. Greiner said they hope the alcohol sales bring more revenue and people to Sun Splash. She said Cape Coral police will be at the park if they are any issues. She said if this year goes well, they may consider having no drink limit. Greiner also said the 27-year-old park also had a bit of a makeover during the off season. They painted some slides, renovated the ice cream shops, put seams in the lazy river to prevent leakage and resurfaced Pirates Cove.